Naksansa Temple is located in Yang Yang area near Naksansa Beach. It is a great place to see the calmness of what temples have to offer with a great view of the Ocean. 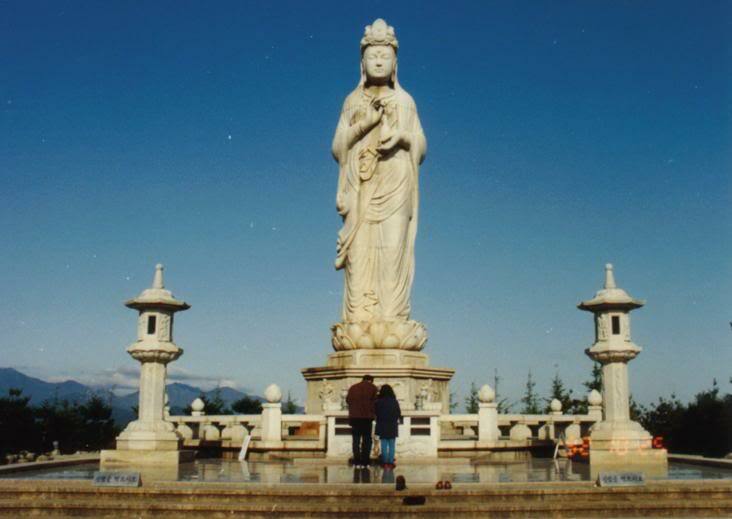 Walk around the large grounds and see large statues over looking the ocean, amazing architecture, monks chanting, praying and drumming their instruments. While here, you also have the option of having a temple stay and staying there for a few nights. They server only vegan food and it still very delicious. Between 11am and 1pm, they serve free noodle dish. 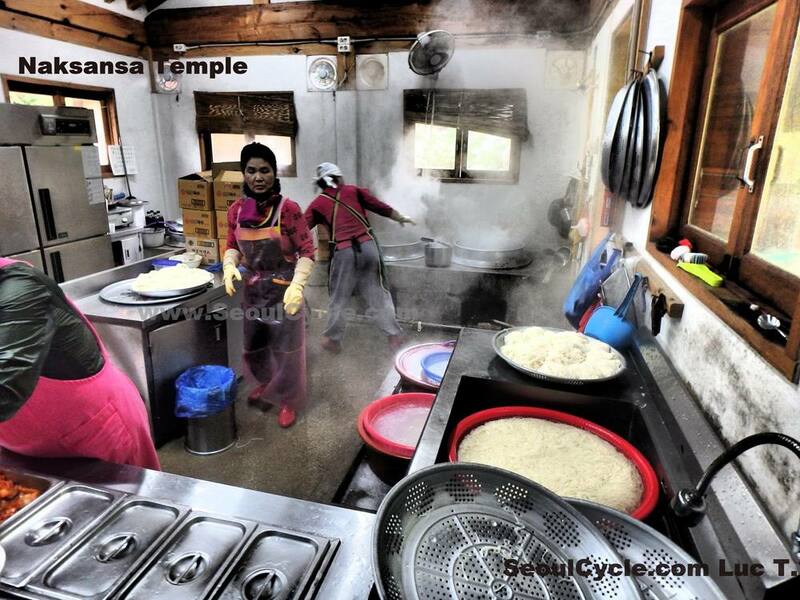 However there is a 3,000 won entry fee per person to visit this temple. It is well worth it. After you are done with exploring the temple, make your way down to Naksan Beach. It is a great place to have fun on the beach and also eat some food. Visit the Korea East Coast Trail facebook page for more information on riding the east coast trail.